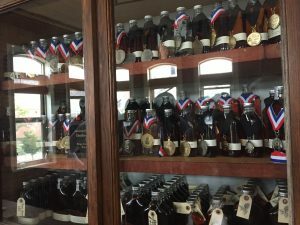 It was when I was looking for a bottle of moonshine at Astor Wines that I heard about Kings County Distillery. The simple but effective packaging of those little flask-like bottles grabbed my attention, and the product is actually quite good. Curious about this place, I decided to take the tour. 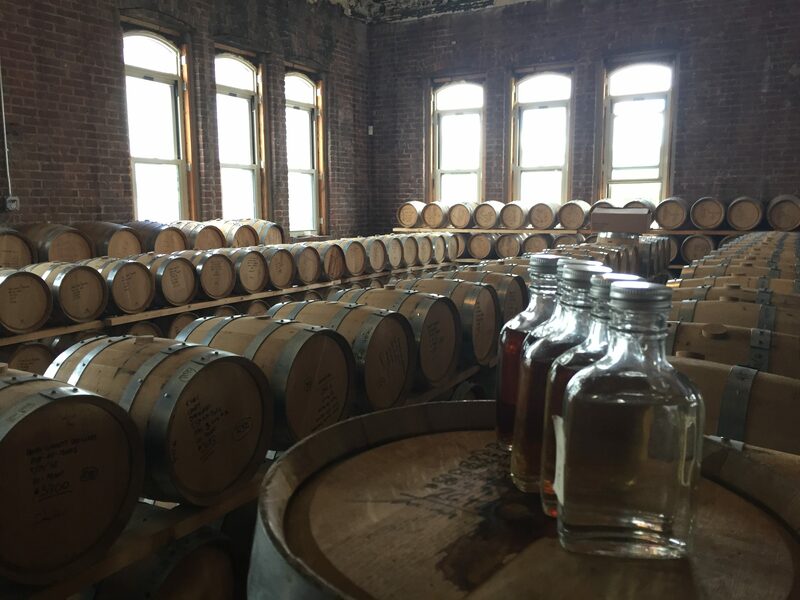 Located in Dumbo about a 10-minute walk from the F train York Street Station, Kings County Distillery is New York City’s oldest operating whiskey distillery, the first since prohibition. 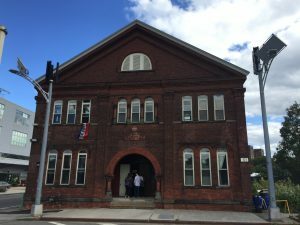 They set up operations in the 117-year-old Paymaster Building in the Brooklyn Navy Yard. But don’t let the location fool you, this distillery was founded in… 2010! That’s where I learned about a lot of cool stuff like the Brooklyn Whiskey Wars. 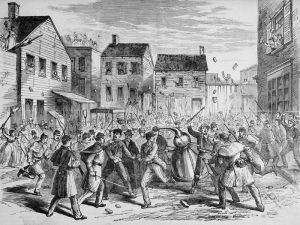 An illustration from Frank Leslie’s Illustrated Newspaper that depicts soldiers raiding an illegal distillery in Brooklyn in 1869. (© Bettmann/CORBIS). 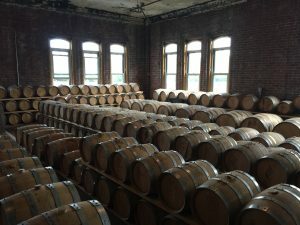 …and the storage room where the magic of aging happens. And last but not least, time to taste their award-winning spirits! Amongst my favorites: Moonshine, Peated Bourbon and Chocolate-Flavored Whiskey (infused with real cacao nibs). 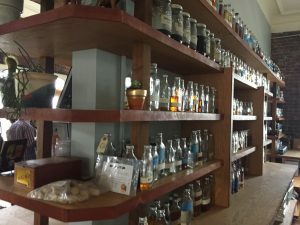 Kings County Distillery is definitely worth a visit, and if you have a little extra time, stop by the Gatehouses to have one of their cocktails. Cheers! 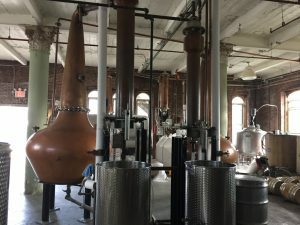 For more details and tours, read more on the Kings County Distillery website here.